(Toronto, Ont.) The countdown is on! With 100 days to go until the TORONTO 2015 Parapan Am Games, the TORONTO 2015 Pan Am/Parapan Am Games Organizing Committee (TO2015) is proud to partner with CBC/Radio-Canada to announce its broadcast schedule, featuring more hours of Parapan Am Games broadcast than ever before. Also released today were the competition schedules for two action-packed Parapan sports: wheelchair basketball and wheelchair rugby, giving spectators the information they need to buy tickets to see some incredible athletes battle it out for gold. As all sports for the Parapan Am Games are qualifiers for the Rio 2016 Paralympic Games, Canada’s men’s and women’s teams need to finish among the top nations to compete next year in Rio. Today, TO2015 and CBC/Radio-Canada marked the milestone day with a countdown celebration, featuring a wheelchair rugby demonstration in recognition of the sport’s Pan Am Games debut. Eight Team Canada wheelchair rugby hopefuls together with CBC host Scott Russell took part in the wheelchair rugby demonstration presented by TO2015, the Canadian Paralympic Committee and the Canadian Wheelchair Sports Association, the governing body for wheelchair rugby in Canada. Originally coined “murderball,” the hard-hitting, fast-paced wheelchair rugby competition is expected to be a big winner with fans this summer. Wheelchair rugby has a strong reputation in Canada — not only was it invented in Winnipeg in 1976, but the Canadian team is considered one of world’s best, taking home a silver medal in both the 2014 World Championships and the London 2012 Paralympic Games. The semi-finals will be held on Thursday, August 13 (PRW06), followed by the bronze- and gold-medal games on Friday, August 14 (PWO7). The wheelchair basketball schedule was also released today. A fan favourite at the Parapan Am Games, it will be played at the Ryerson Athletic Centre. The Canadian women’s team is the current world champion. 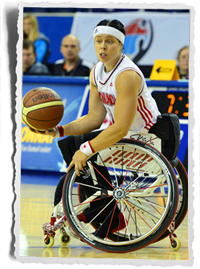 Janet McLachlan is the country’s leading scorer and one of the top women’s wheelchair basketball players in the world. She is hoping that history repeats itself for her and her teammates at the Ryerson Athletic Centre this summer, with a gold medal win. The women’s semifinals will be held on Thursday, August, 13 (PWB12) followed by the bronze- and gold-medal games on Friday, August, 14 (PWB14). The Canadian men’s team will be a gold-medal contender after taking home top place at the London 2012 Paralympic Games. The men’s semifinals will be held on Friday August, 14 (PWB13), followed by the bronze- and gold-medal games on Saturday, August 15 (PWB15). Afternoon sessions featuring Canada’s men and women’s preliminary games will be highly sought-after tickets. 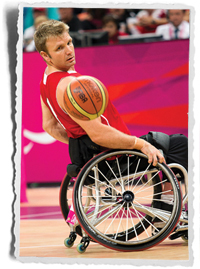 An added bonus for wheelchair basketball fans is the great value these tickets offer. Purchasing a single ticket will get fans three games for morning or afternoon sessions from August 8 to 13, and single session tickets will be valid for two games from August 14 to 15. To view the full wheelchair rugby and wheelchair basketball competition schedules and to purchase tickets, visit TORONTO2015.org/schedule. Integrated tickets: Every event ticket will allow the holder to access transit on the day of the event. Affordable pricing: Tickets start at just $20, with 75 per cent of tickets priced $45 and under. Half-price tickets for persons under 16 years of age, or 65 and over: Tickets will be offered at a 50 per cent discount — some will start at $10. The number of discounted tickets is limited, so buy early. Tickets for Parapan Am sporting events will range from $20 to $35 for adults, with a youth (under 16) and senior (65+) discount from $10 to $12.50 available, depending on the event. The number of discounted tickets is limited, so don’t delay. Easy options for buying: Tickets can be purchased online at TORONTO2015.org/tickets or at 1.855.726.2015 and internationally at 1.949.333.4824. 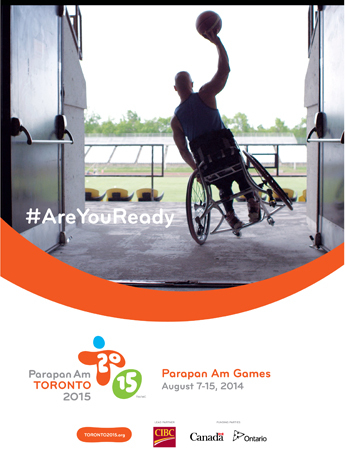 The TORONTO 2015 Pan American Games will take place July 10–26 and the Parapan American Games August 7–15. The TORONTO 2015 Games are funded by the Government of Canada, the Province of Ontario, as well as Lead Partner CIBC and other partners and sponsors. The TORONTO 2015 Pan Am/Parapan Am Games Organizing Committee (TO2015) is tasked with managing and delivering the Games. It is working to bring some of the world’s best athletes and artists to Toronto and the Greater Golden Horseshoe region, giving Ontarians a unique chance to be part of the action, and making the region a hub for sport.